Leaders and managers of Agile teams face many challenges as their organizations transition and transform. The 2 day Professional Agile Leadership Essentials course is designed to help those leaders explore how to create an environment that supports agility, empowering teams and enabling their organizations to reap the benefits of an agile product delivery approach. This workshop is a unique mix of theory and practice, optimized for the best learning experience. After the class, students will get a passcode to take the PAL I assessment. After passing the assessment, students will gain the industry recognized PAL 1 certification, which will never expire. The Professional Agile Leadership Essentials course provides a foundation for the role that leaders play in creating the conditions for a successful Agile transformation. Students explore how the principles and values of Scrum help guide leaders in the decisions they make to create an environment for agility to thrive. Leaders in Agile environments can find their role to be quite different from what they are used to, shifting focus to enabling self-organizing teams to creatively solve complex problems. 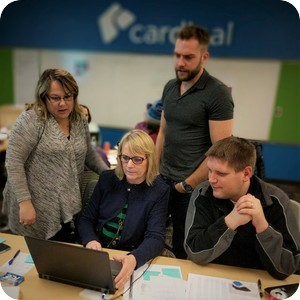 Students in this PAL-E class will discover perspectives and techniques for fostering growth in people in the various Scrum roles in order to sustain long-term agility to the benefit of their organizations and customers. All participants completing the Professional Agile Leadership Essentials course will receive a password to attempt the Professional Agile Leadership I (PAL I) assessment, included in the cost of the course. If you attend this Scrum.org class and attempt the PAL I certification assessment within 14 days but do not achieve a score of at least 85% you will be granted a 2nd attempt at no cost. This industry-recognized PAL certification requires a minimum passing score.